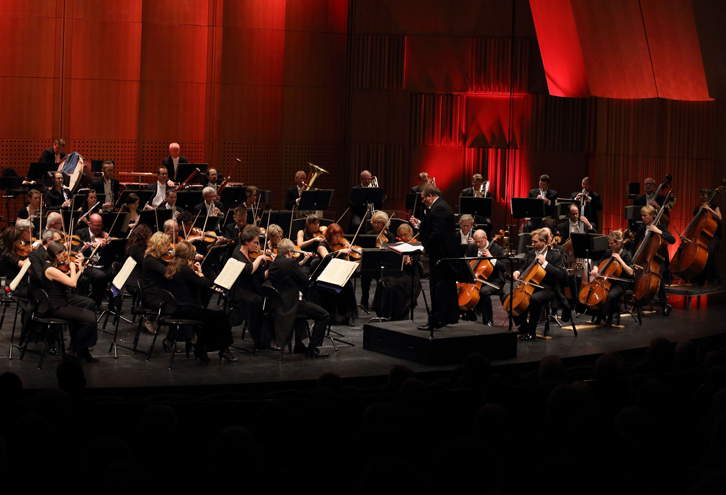 The Gävle Symphony Orchestra, founded in 1912, has a long and exciting history, but its focus is always on the future. Each concert presents an opportunity to deliver the very best, and to meet the expectations of the audience for an artistic experience at the highest level. The orchestra has since its inception played an obvious and significant role in the Swedish music scene and its 52 musicians are driven by an undeniable and heartfelt passion for music. The orchestra takes on a repertoire ranging from the baroque to the latest contemporary music with equal curiosity and dedication. It is of particular note that the orchestra’s initiatives with composers-in-residence have provided a vivid image of the outside world. Through a series of acclaimed CD recordings, the Gävle Symphony Orchestra has also brought many older Swedish composers into the limelight and given them well-deserved recognition. Since 2013, Gävle Symphony Orchestra has enjoyed a fruitful musical partnership with principal conductor Jaime Martín and the orchestra has also collaborated regularly with renowned conductors such as Leif Segerstam and the late Sir Neville Marriner. Among returning soloists you find stars Isabelle van Keulen, François Leleux, Gabriela Montero and many others. During Jaime Martín’s tenure as principal conductor, the Gävle Symphony Orchestra has also started a collaboration with the Eric Ericson Chamber Choir.